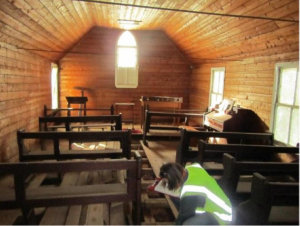 Saint Saviours Burrinjuck is a wooden Church built in 1906 as a temporary structure, largely by the Diocesan Church Society, for the people constructing Burrinjuck Dam. The church was moved to higher ground when the dam was flooded. 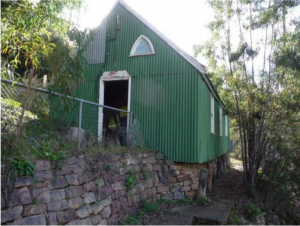 It is the oldest surviving building in Lower Burrinjuck – clad in green corrugated iron, but is in poor repair and not safe to enter. Services were still being held at Burrinjuck into the 1950s in 2 locations, but have since ceased. 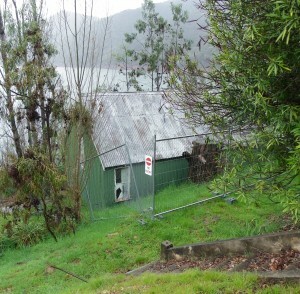 The other site was in Upper Burrinjuck, known as “the hall”, this was demolished in the late 1990s after a tree fell on it. Please prove you are human by selecting the Eye.